Let us start with agriculture’s direct contribution to South Africa’s GDP—a little over 2% at last count. This figure is sometimes used for political reasons to downgrade the importance of agriculture within the South African economy. This is tragically very simplistic thinking and does not show the full picture: agriculture does not operate in a vacuum. It buys from and provides raw materials for manufacturing and purchases a host of services. But that’s not all: related sectors are agribusiness (which includes farming operations), input manufacturers, suppliers and co-ops; food processors, distributors and traders, to name a few. 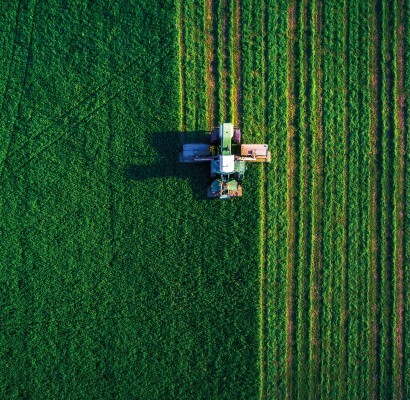 Research shows that agriculture and related sectors actually contribute more than 15% of South Africa’s GDP when all related and second-stage industries are taken into account. The spin-off from farming activities on SA’s rural areas is crucial – the small towns in these parts depend almost wholly on the surrounding farms for their livelihoods. There are around 35 000 white and 5 000 black commercial farmers in South Africa. They feed a population of around 55 million, at last count. This means that one farming unit provides food for approximately 1375 persons. Compare this figure with France, a country with 35% of its land arable, with dedicated support from its government, good general rainfall, many rivers and a dedicated educated work force. The country has the highest agricultural production figures in Europe. There are around 735 000 farms of which 454 000 are managed by full-time farmers. Using the first figure, there is one farmer for 88 people and in the second instance, one farmer feeds 143 people. In Germany, with a population of 80 million, only 3% of the work force is employed in farming, on mostly smallholdings measuring 56 to 59 ha. There are approximately 285 000 farming operations and full use is made of the land available. The Germans are producers, and those who don’t own land or who don’t work on farms have jobs. The country is 34,7% arable and one farmer feeds approximately 280 people. The United States of America has around 17% arable land and there are 2,1 million farms, many of them very big producers. Less than 2% of the population is in farming, and in a population of 325 million, agriculture only represents one percent of GDP. But America feeds itself and exports to the world, proving that its farming potential is maximized by people who know how to farm. The government does not even consider giving productive farms to anyone who can’t farm, for whatever reason. They would be out of power at the next election, if not before! It wasn’t always like that. In 1872 the average American farmer fed roughly four other people. Now the average farmer feeds 155 people.This shows how farming methods have been developed over the years by Americans, without official mentoring or without someone else’s farms being expropriated and handed to them on a plate. Nobody demanded land which may or may not have belonged to their forefathers because Americans who are not on the land have taken their places in the larger economy. This is what happened with other developed nations .Still, agriculture is the single largest employer in the world, providing livelihoods for 40% of the world’s population. South Africa’s “human wants” are so demanding that tinkering with the country’s agricultural production by the state appropriating more productive farms would be suicide. 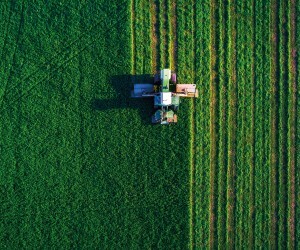 Unlike the rest of the world of developed farming, South Africa’s commercial farmers find themselves in the invidious position of trying to balance providing food for 55 million people against constant harassment and unfair legislation from a government which uses land as a political tool at election time to get its officials on to the state payroll. It is ironic that this harassment and hostile legislation designed ostensibly to increase the skills of the country’s subsistence farmers so they can become self-sufficient resulted in the state actually nationalizing many of these farms. By holding onto the title, the state has set the beneficiaries up to fail because these beneficiaries cannot obtain loans and credit because they don’t own the farms! What has happened to many of these farms under state control is a sorry story. Legislation has so far not improved farming production in South Africa, nor has it advanced to any degree the skills levels of the supposed beneficiaries of this policy. Instead, hundreds of once-productive farms are in a state of rack and ruin, yet the government still demands “land for the people” and is now talking of expropriation without compensation. Then they wonder why nobody invests in South Africa and why we have been down-graded by the world’s rating agencies to junk status. Given the above situation and the lack of surplus agricultural production in subsistence farming, plus the political capriciousness in Africa, South Africa cannot afford the experiments continually suggested and introduced by concerned world organisations and others to improve agriculture in Africa. Despite more than forty years of independence, most African countries cannot feed themselves. Some 227 million of the world’s chronically hungry people live in Africa. The continent spends an estimated US$50 billion (R600 million) a year buying food from developed countries. Sixty-five percent of the world’s uncultivated arable land left in the world is in Africa, yet according to the World Bank, 41% of sub Sahara’s population lives in a state of extreme poverty. The area’s population could grow by as much as 75% from 2013 to 2036, says the Bank. South Africa is the only country in the region holding the line against mass starvation, yet its government continues to propagate the expropriation of land (productive farms) without compensation. The precariousness of successful farming in this country rests on a relatively few commercial farmers. If the balance is tipped, then the whole of Southern Africa will succumb to serious food insecurity. In other parts of the world, extreme poverty has been eradicated. East Asia’s share of people living in that condition dropped from about 60% to 3,5% in a few decades. How did they do it? Why didn’t South Africa’s rural population develop in this way? Unfortunately the South African effort to uplift subsistence farming has to date failed, even when giving the beneficiaries functioning farms! A few black farmers have succeeded on their own land and as a result of their own hard work and their ability to seek assistance and to profit from it. They are a credit to agriculture. But there are not enough of them, and at the other end of the pendulum, there are millions who really only want a job. They don’t like farming, and they don’t want to farm. If it’s not broken, don’t fix it! If SA’ s commercial farmers are successful in what they do, so why not leave them alone? The cornucopia of farm produce displayed in South Africa’s supermarkets is the envy of the world. So many South Africans take it for granted that they can get anything they want by tripping down to the supermarket. The food is always there! But this state of affairs will not last if the government continues to harass farmers, if the state refuses to do anything to halt farm murders, and if they introduce legislation to expropriate land without compensation. Everything must be done to prevent South Africa from slipping down the Zimbabwe slope and sending South Africa to the gallows. It’s that serious!